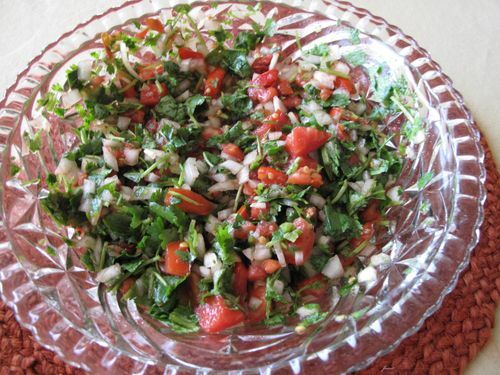 Combine equal parts of Romas, onions and Cilantro. Add jalapenos and toss together in large bowl. Squeeze half of a lime over top and salt to taste. The great thing about this recipe from Pioneer Woman, is you can make as much as you want and make it everyday if needed.